Trendy frames with a retro twist in hip colors. These glasses embody the essence of Danish design – clean and sophisticated with an unexpected, fashionable look. 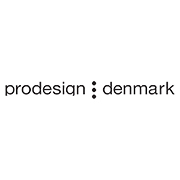 Since the company began in the 1980’s, ProDesign has recreated their entire collection for the 21st century. The brand offers a distinctive hinge design that allows you to interchange the arms of the frames to create your own unique look. The ProDesign collection is available at Good Looks Eyewear. Visit Our Pittsburgh or Cranberry Township location to pick up your glasses.